Owen Jones was one of the more prolific and influential designers of the nineteenth century; He designed the interiors and layout of the exhibits for the Great Exhibition of 1851. He also developed the principles on which the teaching at the Government School of Design was based, which had their home at the South Kensington Museum, as the V&A was initially known. When Jones’s studied ornament outside of Europe, his studies convinced him that flat, abstract patterns and most importantly, colour, were the way forward. He felt the neo-Classicism and Gothic Revival movements did not accurately reflect the technological advances of the mid-19th century. 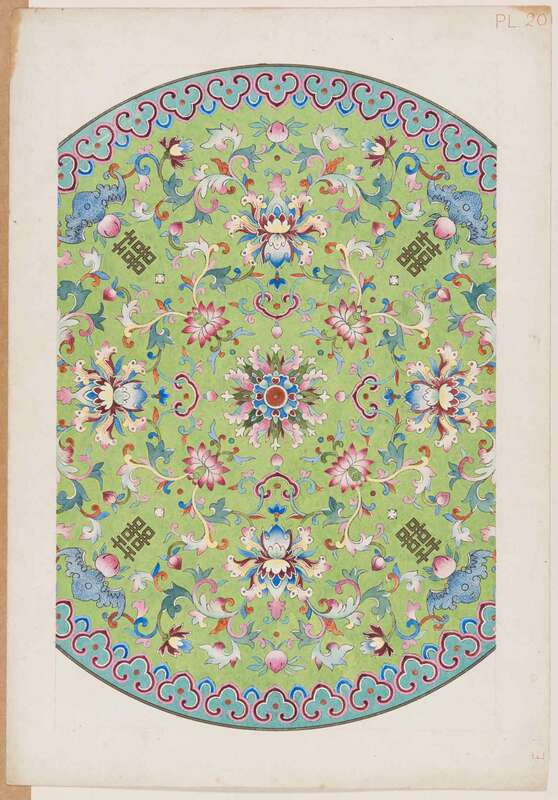 The 51 original designs in ‘Examples of Chinese Ornament’ show the development of Jones’ thinking about Chinese decorative styling and will now be the focus of detailed research at the V&A, analysing Jones’s interpretation of Chinese art and design.